Gary Jardine has insisted the outcome of Sunday’s South Region Challenge Cup final will have no bearing on how he shapes his Civil Service Strollers squad next term. The former Edinburgh City manager will assume control of first-team affairs upon completion of this weekend’s match with current boss Alex Cunningham stepping down after three years at the helm. Cunningham, however, is expected to take up a role in the club’s committee. Strollers secured a respectable seventh-place finish in this year’s Lowland League and are within touching distance of silverware as the play divisional rivals BSC Glasgow at Olivebank, home of Musselburgh Athletic (kick-off 2.30pm). Jardine, who left SPFL League Two side City in September, says he has rediscovered his appetite for the game having joined Strollers’ coaching team in December. He admits he has already turned his attentions towards next season as he looks to build on the foundations laid at Christie Gillies Park. That said, Jardine believes the players can be proud of their efforts irrespective if they take home the trophy on Sunday. “I think it’s been a successful season for the club no matter what happens this weekend,” he said. “There are a lot of similarities between Civil and what we had at Edinburgh City had in the early years of the Lowland League. Money is not at the forefront of everything and people just enjoy themselves. The players go to their work, train hard during the week and are ready for the match on a Saturday. “I’ve really enjoyed my time here. It’s been really refreshing after leaving Edinburgh City where I’d been for fifteen years. The group of players have taken a lot on board so it’s a really happy place to be. “The Lowland League is now the fifth division in Scotland where there’s that real drive for clubs to make the step up through the pyramid system. There are teams throwing money at it, which isn’t a problem, because if you’ve got it then why not be ambitious? “The club knew at the start of the season that they weren’t going to win the league but we have steadily moved up the table and came within a couple of minutes of finishing sixth down at Selkirk. But to finish seventh is an excellent achievement. Jardine couldn’t speak highly enough of outgoing manager Cunningham and insists he has worked wonders on a shoestring budget. 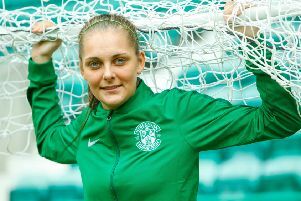 “I first met Alex twenty years ago when I left juvenile football to go and play junior and the passion and enthusiasm he had then has not changed one bit,” Jardine said. “He’s the life and soul of the club and what he has achieved in the couple of years Civil Service have been in the Lowland League is incredible. I believe what he has done with this group of players is probably every bit as good as Spartans or East Kilbride winning the league.